Born to Albert and Elizabeth DeFillippis in Sewell, New Jersey, I've lived my entire life South Jersey. Subsequent adresses were in Lindenwold, Woodbury, and Westville Grove, Deptford Twp (where my parents reside). I've spent the last thirty years in Mantua, New Jersey where I live with my lovely wife Betsey. We have three great children; Michael (28), Randy (25), and Annette (20). I've been happily married long enough to know the authority figure in the house- our dog Ottis, a terrier mix. I also am a strong believer in giving back to my community and with this I was invited to be apart of the Mantua Lions Club. Graduating from Deptford High School in 1976, I've recieved vocational training in the automotive trades. I spent twenty-five years as a technician, working my way up to a Class A and accumulating numerous certifications in this feild. In 1999, I took a plunge and opened my own car franchise; Pole Tavern Motors, in Monroeville, New Jersey. The franchise employed eight. In the years that followed, it became increasingly clear to me that my real heart lay not with the labor side of this business, but in sales. I am what is referred to as a "people person" and a "business man." I am a talker and love getting to know my clients and doing my best to meet their needs. The real estate options available today are as diverse and varied as my clients; providing a "perfect match" between the two is my personal goal. In conclusion, I would like to say that I know what its like to make ends meet for a family of five in a week economy. As your sales associate, I pledge my promise to always put my clients' needs first and to obtain for you the best value for your most important investment- your new property or home. I am always available (twenty-four hours a day, seven days a week) to serve you. 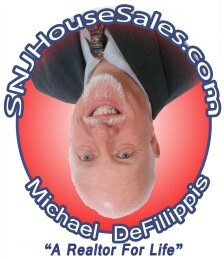 Thank you again for considering me for all your real estate needs!